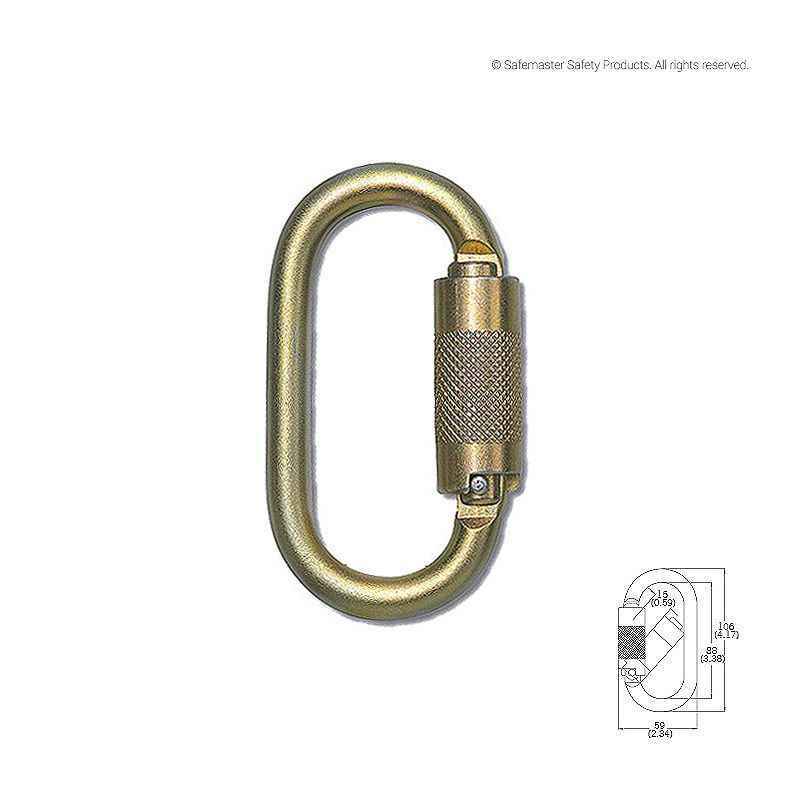 Steel karabiner is used as connecting elements for different segments of a personal fall arrest system, suitable for work at heights. The oval shape allows optimal positioning/loading of equipment with a wide section. Triple locking for enhanced safety as it needs 3 steps to open, hence prevents accidental opening and minimise the risk of roll-out.